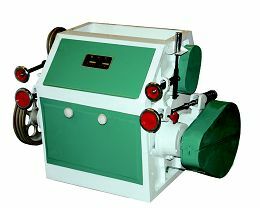 Maize milling machine is a main part for maize processing. This type includes upper and lower parts, the former is made of steel material while the base to the latter of cast iron. The feeding system adopts modular design which can be moved out as a whole. 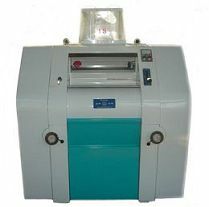 The material feeding system can be driven separately and space between rollers can be adjusted sensitively. KFMFG series adopts up-to-date technology with brand new construction and perfect characters. It is proper to produce flour and starch by milling and grinding. 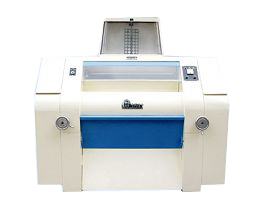 Featuring high rotation precision of roll, fine adjusting of roll clearance, accurately feeding and low noise, it is environment-friendly and can work without shaking. 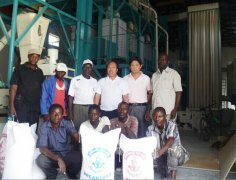 It is best for small and medium sized flour factories. 6F series is a kind of unilaterally oblique plane machine on a smaller scale which adopts rolling bearing and has high efficiency yet low friction and power consumption. It is fit for single and complete running, featuring easy operation and compact construction.